Freida Selena Pinto, born the 18th of October, 1984 in Mumbai, Maharashtra, India is an Indian actress and model. Born to a Mangalorean Catholic family, she had always wanted to become an actress ever since she was a young girl. Prior to making acting her career, she worked as a model and television presenter, and performed on stage in plays while attending college. She continued to model for four years and enrolled in an acting course at the Barry John's Acting Studio in Mumbai where she was trained by Barry John, a theatre director. Pinto rose to prominence playing the role of Latika in the 2008 British Indian drama film Slumdog Millionaire, the film that marked her first screen appearance. She won the Breakthrough Performance Award at the Palm Springs International Film Festival and Screen Actors Guild Award for Outstanding Performance by a Cast in a Motion Picture. She was also nominated at various award ceremonies such as the British Academy Film Awards (BAFTA) and MTV Movie Awards. Since then she has starred in a number of British-Indian and Indian-American productions, notably You Will Meet a Tall Dark Stranger, Rise of the Planet of the Apes, Immortals and Trishna where she played the titular character. In 2009 Pinto became romantically involved with Dev Patel, her co-star in Slumdog Millionaire, with whom she is currently living. Her off-screen pursuits include being a part of the Agassi Foundation, a philanthropic organisation started by Andre Agassi and Steffi Graf which is dedicated to providing education for deprived children. In 2013, she appeared in a video clip for Gucci's Chime for Change campaign to raise funds and awareness of women's issues in terms of education, health, and justice. In April 2013, Freida collaborated with UN Secretary General Ban Ki-moon and World Bank President Jim Yong Kim for the Call to Action - Girl Rising campaign. The documentary film Girl Rising made by Academy Award nominee Richard E. Robbins, showcases the power of education in transforming the lives of girls around the globe. Her surname reflects her Portuguese origins, being the result of her ancestors' conversion to Catholicism by missionaries. Her mother, Sylvia, is the principal of St. John's High School, and her father, Frederick, is a senior branch manager at the Bank of Baroda. She has an elder sister named Sharon, who is the associate producer of NDTV, a news channel. When she was only ten years of age, Sushmita Sen won the 1994 Miss Universe, which inspired Freida to become an actress and also turned out to be one of the defining points in her life. She studied at the Carmel of St. Joseph School in Malad, Mumbai where she participated in sports and sang in the school choir. She completed a degree in arts with a major in English Literature, and minors in Psychology and Economics, from St. Xavier's College in Mumbai. Pinto became an accomplished dancer in Salsa and Classical Indian dance and acted in plays and amateur theatre while attending college. She was signed by Elite Model Management and modeled for two-and-half years, during which she was featured in several television and print advertisements endorsing products such as Wrigley's Chewing Gum, Škoda, Vodafone India, Airtel, Visa, E-Bay and DeBeers. She continued to model for four years and appeared on the runway in fashion shows and on magazine covers, including Femina and FNL. "I'm glad things happened the way they happened. I needed to be rejected, and I needed to learn that it's part of the game. I may have 100 rejections, but I'm sure there's going to be one particular thing that is almost destined for me to have". She received a call for Slumdog Millionaire; she was short-listed and finally selected to star in the film. Directed by Danny Boyle the film starred Dev Patel, Anil Kapoor, Irrfan Khan as well as Pinto. She played the role of Latika, the girl with whom Jamal, the film's lead character would fall in love. The film premiered at the 33rd Toronto International Film Festival where it won the Cadillac People's Choice Award. Slumdog Millionaire turned out to be a sleeper hit, receiving universal acclaim for its plot and soundtrack. It emerged as the most successful film at the 81st Academy Awards winning eight of the 10 nominations, including major categories such as Best Picture, Best Director, and Best Adapted Screenplay. The film also gained nominations at various award ceremonies including the Golden Globe Awards, where it won four awards. Pinto herself was nominated for Best Actress in a Supporting Role at the 2009 BAFTA Awards, and in addition, she won the Screen Actors Guild Award for Outstanding Performance by a Cast in a Motion Picture alongside other cast members from the film. "Pinto handles the central role with a certain dignity, but the real drama is in Miral's rejection of violence in favor of Hind Husseini’s (Abbass) example of education and negotiation." Following that film, she starred in the 2011 fantasy-action-drama film called Immortals, in which she played the oracle priestess Phaedra. That same year she played Princess Lailah in the 1930s period drama film Black Gold where she was cast alongside Antonio Banderas and Mark Strong. Also in 2011, she starred in Michael Winterbottom's British drama film Trishna alongside Riz Ahmed where she played the titular character in the film. An acclimatization of Thomas Hardy's novel Tess of the d'Urbervilles, the film first premiered at the 2011 Toronto International Film Festival. Described by The Guardian as a "seductive, allegorical study of male-female relationships", the film featured Freida as the daughter of a peasant who falls in love with a London-based hotelier, played by Ahmed. Unlike her previous films, Trishna got positive responses from critics and the film was nominated for the Best Film Award at the London Film Festival and Grand Prix at the Tokyo International Film Festival. Her forthcoming release called Desert Dancer is a biographical drama film that revolves around the life of a dancer. Pinto underwent very strenuous dance training consisting of eight hours of rehearsals each day lasting for 14 weeks for the role. As of 2013, she is scheduled to act with Christian Bale in Knight of Cups, and the romantic thriller NH10. Freida has been included in numerous "Most Beautiful Women in the World" lists. In 2009, she was featured in the People Magazine "Most Beautiful People List", and "List of World's Best Dressed Women". The same year, the Daily Telegraph reported that she was the highest-paid Indian actress, although she had never appeared in any Bollywood films. She was also included in Vogue's 2009 list of the "Top Ten Most Stylish Women". On the 13th of May 2009, Freida became a new spokesmodel for L'Oréal. A controversy arose when she appeared for a TV commercial promoting L'Oreal, as many thought it to be racial discrimination from countries that are possessive about fair skin; the commercial showcased Pinto lighter than her true skin tone. In 2010, she was featured in the "Top 99 Most Desirable Women" poll conducted by Askmen.com. Two years later, People Magazine named her one of the "Most Beautiful at Every Age". The following year she was voted the "Hottest Indian Chick" in a controversial poll conducted by GQ Magazine. Freida has been criticised for having "shunned" the Indian film industry. However, she claimed that she is unable to find roles that suit her in Bollywood. She also stated that she enjoys watching Bollywood films and is keen to act in one in the future. The Andre Agassi Foundation for Education is an educational organization dedicated to transforming U.S. public education for underserved youth. The Foundation drives reform by engaging in practice, policy and partnerships that provide quality education and enrichment opportunities. A hidden hunger is limiting the potential of millions of children around the world. Caused by a lack of essential vitamins and minerals, iron-deficiency anemia can impair physical and mental development, weaken the immune system and increase child mortality before the age of five. 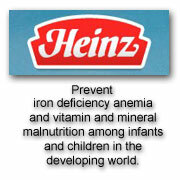 The Heinz Micronutrient Campaign is dedicated to preventing this hidden hunger. Through partnerships with governments and NGOs it is providing innovative, cost-effective solutions to give children the opportunity to lead healthy, productive lives. 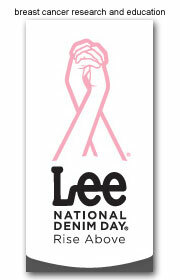 Lee National Denim Day is a fundraiser created by Lee Jeans to support the American Cancer Society breast cancer programs. Since its inception in 1996, Lee National Denim Day participants have raised more than $88 million for the fight against breast cancer. With your help, they hope to add to that total. Your donation of $5 today helps the American Cancer Society discover new ways to prevent, find, and cure breast cancer while ensuring access to mammograms and providing free support to people with the disease. Lee National Denim Day occurs during the month of October,but you can help them raise money year-round. 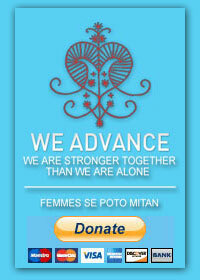 Help advance the health, safety, and well being of women throughout Haiti in some of the poorest slums in all of the western hemisphere at Wharf Jeremy and CitÃƒÂ© Soleil. 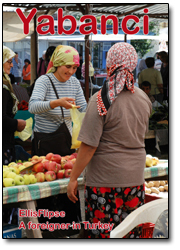 We Advance directs assistance where security issues deter the work of most international NGOs - starting from the bottom because it is where your assistance is needed the most.